Note: Don't try and upload both plugin images together and then apply. Only the latest plugin will be applied. Before we setup OpenVPN, lets discuss the network first. You may need to change the client.conf or server.conf as fit. b) I want to make sure all my internet connections are not forced through my home LAN when connected via VPN. Pre-requisite: You have SSH and apt-get installed and enabled in the ReadyNas. You need to set some key variables which will be used to generate the certificate. The content here is not critical - you can change it to what you need. Basically, edit the vars file in your favorite editor and make the changes to the following variables in them. Make sure you save the changes. Important: You will be asked a series of questions: The default values are filled in. I just entered my name in the Organization question as well. Also,when it asks you "Sign certificate?" please answer YES otherwise it will generate 0 byte certificates and OpenVPN won't start. Note: It is important you do ". ./vars" and not "./vars" as this will not export the variables to your current shell and you will get errors. Finally, build the Diffe-helman code (this takes forever on the ReadyNAS. Take a meal break here). The next step is optional - but I prefer to do it and suggest you do too. Basically, you can create a new user/group with limited rights which will run the openvpn server. It's not a good idea really to run the server as root, because one could exploit a vulnerability in it and get access to a root shell, which is not going to be pretty. Now just create a server.conf file in your favorite text editor and use the contents below Please modify the IP addresses according to your local LAN and VPN IPs. # you write a script to parse for these pushes. See OpenVPN Howto. Note that I am using a "tun" virtual adapter and not "tap". Simply put, it means I am establishing an IP level p2p link between my client and the VPN server. On the other hand, if I used "tap", then I'd be creating an ethernet bridge between the two. Specifically, in tun mode, any protocols that use broadcast packets to advertise themselves (example, netbios & AFP uses broadcast packets) will not work, as broadcast packets will not be shared from the VPN lan to my lan. Practically, what it means is that I will not see any of my home devices in my network "automatically" - I will need to connect with them over SMB. For example, when I use tap, the home devices automatically show up in my network list. While in tun mode, I need to "Connect to server" to get access to it. I chose to use tun because I believe it is better in performance - though I am not sure by how much. Actually, the real reason I chose tun was so that my Time Machine backup doesn't auto start syncing gigabytes of data over VPN. Whichever you choose, make sure you use the same interface in the client side as well. Also note that if you choose tun, Apple's TimeMachine will stop working, as it uses broadcast packets to identify/locate itself. If you want TimeMachine to sync over the VPN, change tun back to tap in both client and server files. I like it this way, as for now, I don't want my mac to sync over the VPN. Every time time machine syncs, it syncs many gigabytes of data (Gee I never knew OSX files change so much in an hour) which I did not want. I only want it to sync when I am @ home (ie no VPN on). Make sure openvpn is working and it does not exit. All good? Great. Your server is ready. Whoops, we almost forgot. You need to enable IP forwarding in your ReadyNas. If it says 1, good. You are ready to focus on the client. If not, go back and trace your steps and see what you might have missed. ~/Library/Application Support/Tunnelblick/Configurations so I just copied the above files here. Now all that remains is to set up a client configuration that can connect to the VPN server. This last step can be forgotten very easily. If you don't do this, things won't work. a) If your VPN server is not on a public IP, you need to use the public IP of your router and port forward all traffic to port 1194 to the router to the VPN server. b) Set up a static route to make sure remote clients can reach other LAN terminals once connected via VPN. For a) there is a better way - I use dyndns.org to assign a permanent hostname for my router. This is better than IP as if the wan IP of the router changes, the hostname in dyndns is automatically updated. Most routers allow you to specify a dyndns acct and it can automatically keep dyndns updated. Dyndns is free and this is very useful. Google around on how to do this, or, to start just use wan IP of the router in the client code. In my case, "AA.BB.CC.DD" in the conf file above reads "myhostname.dyndns.org"
What we did here is made sure that if the router receives any connections/traffic to port 1194 of its WAN IP, it will forward it internally to the VPN server (your readynas box). That takes care of the VPN server not having a public IP. Now try and connect to your VPN server from a remote client. Note the difference. In tap, your virtual interface works at layer 2 and creates a virtual ethernet mac address. While in tun mode, a routing path is established at the IP layer. That is great - well done! Something I've been looking for for a while. I have a Duo. Do you know if it would cope with this install? I suspect maybe not due to processor requirements but I'd love to do it. Works on DUO, thanks for the tutorial. I think you are using the wrong client. If you use the one I referred to above it should work. Arjun, Thanks for the prompt replies and all the help! It is most appreciated. Over the past couple of days I've been tweaking some things and still have problems. I am using the openVPN client gui you recommended, found at http://forum.pfsense.org/index.php?topic=27405.0 and was at least able to get it to try and connect but came up with errors. It keeps giving me this error: "read UDPv4: Connection reset by peer (WSAECONNRESET) (code=10054)". It gives that 5 times in a row, then "TLS Error: TLS key negotiation failed to occur within 60 seconds (check your network connectivity)", and lastly "TLS Error: TLS handshake failed". push "route [My dyndns domain name] 255.255.255.0"
Mike, this is very likely a firewall issue. Your firewall (in one of your routers, likely) is likely blocking the port. Try first disabling all firewalls everywhere, make it work, then re-enable them and set up your port forwarding. Thanks for posting this tutorial. With this guidance I was able to get it to work. My only issue is that upon disconnecting the VPN, my network connection (wifi - I am on a macbook air) does not fall back to the regular configuration. Any ideas? JP, how do you disconnect? In my case, when I disconnect from TunnelBrick, my tun0 interface disappears and things are normal. What happens in your case ? Thanks for the very detailed tutorial. Looking forward to use it next weekend! I was wondering about one more thing, can i use openvpn for setting up a vpn-connection between two readynasses? I want to set up a secure rsync-backup over internet. Sure, I think that should be possible - in this case, one would be a VPN server and the other a VPN client. ReadyNAS NV+ has a nice linux development set up, so you can just run the open vpn linux client on one and even set it up to automatically connect, always connect or anything in between. Thank you Arjun, i'll give it a try and let you know if it worked. Great tutorial. I'm kind of confused though, step 3.4 is the actual setup of the server.conf file but I don't know where that file is to change settings. I've tried looking on OpenVPN's page but I just can't find it. Brilliant write up, I am way out of my comfort zone at Linux CLI, and your article was a crutch! One small note, at the point of copying the created keys to /etc/openvpn/ you fail to include the three Client01 files.... Took me an age to find them! Anyway, i have encountered an issue when running /etc/init.d/openvpn start .....I get..... Starting virtual private network daemon: FAILED-> server. Although I'm sure the first time i ran it, it ran cleanly with no error. I'm not sure what I am supposed to see, but from what I have read, it should tell me if the openVPN service is running.... Is it??! I'm not a Linux user, although i have no problem getting my hands dirty, but looking at the openvpn command switches, I don't really know where to start troubleshooting. So for once in my life I thought I'd ask! So technically it's working then!? Strange though, that i did actually try stopping the service, and upon initiating start, get the same error. But PS shows it to be running regardless.....? Martyn, yes its running. II am guessing you are getting this error because you already have vpn running and you are trying to run it again. Kill openvpn (/etc/init.d/openvpn stop) and then start it again to make sure there are no errors. Hi and thx for your excellent tutorial. I got my Windows 7 Client connecting to my readynas and I am able to ping the vpn address (10.8.0.1) and the local network address (10.0.0.222) of my readynas. Unfortunately I am unable to connect (or even ping) other network clients on my LAN I am connected to (10.0.0.x). I used exactly the server and client configs you used in your tutorial. Can yout tell me what's wrong with this config? if its 0, ip forwarding has not yet been applied. Do " echo 1 > /proc/sys/net/ipv4/ip_forward" if its 0 and then try. ip_forwarding was already set to 1.
ok, I see, I am a little confused because of too much configs and routes... :-) Because of a restart my Client Firewall was enabled again, so connecting the other way round is possible now! Thanks again for your help!! Phil, thanks for the update. Glad it worked out. Well, to close the loop, I went home and checked. My gateway IP was set to my VPN server and not my router. That explains why it worked. I've corrected that part in the original article. Hm.. Step 3.4 is tricky, ore is it? To edit a textfile is not hard but how to put the file in /etc/openvpn/ ? No, it's not. Just go to that directory and create the file, if you are unfamiliar with cp. This is the tricky part for me because i cant find the root. I have created a network conection called root on my NAS in windows but there is nothing in it. Ore... i cant see it. Whats the easiest way to brows files in root on NAS? I am not sure how you are connecting to your NAS. For this to work, you need to ssh to the NAS - so not sure what you mean by a network connection called root. This tutorial assumes you have opened an ssh shell and are working on the NAS using a command line terminal. Awesome guide, I am done with the server part, and it runs correctly, but I am not sure where to go from there. When I try to connect using the OpenVPN client for windows 7, it just asks for credentials. Any tips for a newbie? What credentials are you supposed to use? Do you need to copy the certificate files manually? Hi Arjun. My name is Aaron. I'm in the business development department of Vault Services, the company that makes the ReadyNAS Vault software. 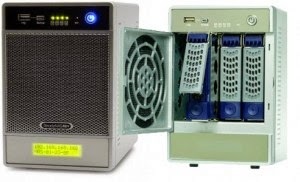 ReadyNAS Vault is a cloud-based storage solution for Netgear ReadyNAS devices. Had you had the Vault you wouldn't have lost your data due to hardware malfunction. If you'd like, I can set you up with a free trial of our software. Please email me at aaron@vaultservices.net. Thanks Aaron. Yes I am aware of ReadyNAS vault. For the amount of data I have (music and movies) the cloud backup costs were just not economical for me (around 200 a month). Thanks for writing in. Hi Arjun. Thanks for the very good tutorial. I could easily adapt it for my needs. And it works perfect. I have one question: I have a Readynas Pro 4 and there is a new beta fw out for it. (4.2.20 T42). If I install that FW, what exacly do I have to do concerning openvpn? Does a simple "apt-get install openvpn" perform the correct installation, or do I have to go through your tutorial again. That of course means creating all certificates again. Hi Michael, when I upgraded my firmware _after_ setting up everything, I noticed that the openvpn process kept crashing. All I had to do was uninstall openvpn and re-install again with apt-get install openvpn and everything worked as before. You do not have to re-generate certs et al. After upgrading your firmware, go to the command like and run openvpn in non daemon mode so you can see errors easily - if it crashes, you know you have to reinstall it again. I just updated from 4.2.19 to the new released final 4.2.20 without problems. And the openvpn-deamon survived the update. :-) I did not have to do a reinstall. Just one simple glitch: I had to activate IP-Forwarding again. But that was no hassle with you tutorial. didn't you forget "user openvpn", "group openvpn" lines in server.conf? Otherwise the user created in step 3.3 is useless. Indeed. thanks for the catch. I will add that. When I connect, I get, like Phil, the address 10.8.0.6 and can ping 10.8.0.1, but I can't ping the 192 address range, and as you state in your excellent tutorial, this points at routing. Can you see something strikingly obvious that I am missing!? Thanks for the excellent tutorial, it's finally got me round to configuring a VPN on my DUO! Just a quick question though: You wanted to make sure your connection is not forced through your LAN, however if I wanted to change this (for example when making purchases on an unsecured/public connection) how difficult would it be to do so? Ideally I'd like to route my connection through the VPN sometimes and other times (when secure) in the way you specified above. Do you know how to configure the VPN in this way? Is it (I'm hoping) a client setting that can be specified or will I need to make changes on the NAS? I want to make sure all my internet connections are not forced through my home LAN when connected via VPN. Now I can connect to my VPN in one profile, and use the other for security when browsing on public networks (with the caveat that browsing is slower). Thought I'd post the solution up for anyone who is curious. of course when using tun my readynas does not shows up in the "shared" devices list, but this is as it's suppose to be. however, as soon as i go to the frontview toggle off/on bonjour services (in discovery services panel) then both cifs and afp shares are visible again. does anything like that happen to you guys? does anyone know how to connect with windows client? Ben, thanks for the solution. in the meantime i sort of solved my problem by adding a restart script for the avahi-daemon into the booting sequence for my readynas just after the start of openvpn daemon. again, your tutorial was a great help ! Marcin, thanks for posting this workaround. I am new to all this but is it possible to ge the readynas to connect to my vpn provider with openvpn installed?. All that I have read just seems to set the readynas us a server but does the server not connect to a vpn account ? Paul, I believe the openVPN client can only work with an openVPN server - while there are many SSL/TLS vpn variants (example Juniper, openvpn, cisco), they all use different protocols on top of the SSL/TLS tunnel which makes them un-interoperable. Paul, I might have misread your question. Are you asking if its possible for the ReadyNAS to connect to another open VPN server as a client? I don't see any reason why not. Its a regular linux system, so if you run a openvpn client on readyNAS it should not have any problem connecting to an openVPN server. In that case, you need to read the client section of this tutorial and generate the right keys are certificate from the openVPN server, copy them to your readynas box that is going to run as a client and connect away. Hey I have the same problem... can you post where you put the avahi-daemon restart? I just updated my Readynas Ultra 4 to the latest firmware 4.2.21. The openvpn installation survided the update again. The only thing I had to do is to set ip forwarding again to 1. This was of course done by the commands in the tutorial above. Thanks Michael. Any perceptible improvements with 4.2.21? no improvements that I can see. The ultra is doing a goog job here. Since Netgear recommended the update I did it. The update itself was a little bit faster than the last one (at least my feeling tells me that :-) ). I have a macbook that always says "Error Connecting" with a certain share on the ultra. When I try it a second time the connection is established. But that not a great issue for me. Francis, you know, when I recently upgraded my ReadyNas NV+, and I tried to re-install openvpn, I got the same errors. I tried apt-get install against the dependencies, but it did not work - frankly I did not investigate why. I was in a hurry. I just did "apt-get install -f openvpn" and hoped -f would fix the broken dependencies and it seemingly did - openvpn got installed perfectly and is working. "apt-get -f install" (no package name) so that to get smbc (was faulty) upgadred and then i did "apd-get -f install openvpn" and this time got all openvpn dependencies fixed and openvpn installed proprely. Good job your tuto works very well THX a lot. I made a change compare to your server.conf. I removed the ifconfig-pool-persist (adresses allocated for eternity) and use a ccd-exclusive directive which as well allow client connection control as the posibility to push and control adress allocation (like a static lease). Due to the user/group change of the openvpn application I was suspecting some trouble to access the client-config-dir and files which are owned by "root". But it works! I checked as well (ps aux|grep openvpn) that openvpn was owned by the new user/group I defined as you did. Did I miss smth? I have a question related to the client exchanges. You have set up IP forward on the NAS and created a static route on the router allowing client to client exchanges. Why not using the client-to-client directive in the server.conf file instead? Hi Francis, I don't know about client-client exchanges. Is there an easy reference you can point me to? Also, which part does it avoid? I had to a) ip forward b) port forward c) create a static route. I assume it will eliminate only c), correct? Unfortunately I don't know more than what is in the OpenVPN documentation. Nevertheless by adding to your server.conf file the client-to-client directive you make the server acting like a client to client router (from openvpn doc). Therefore you no longer need to activate the ipv4_forward as well as you no longer need to setup a static route for your private network using the NAS as gateway . Look like the client-to-client directive does the both. Obviously you still need to forward the 1194 port from WAN to your NAS (that's your network router's job). Doing this way I was able to map drives in between clients through the VPN. I have a Duo v1 and your tutorial went fine until step 3.4. Starting virtual private network daemon: FAILED-> server. Hi Daniel, openvpn may already be running as a service, then. Just do a 'ps aux | grep openvpn' - if it shows an entry then its already installed and running. I would like to change the mode to tap. Is it simple as changing it in server.conf? Great. Yes, its as simple as changing tun to tap in both the server and client conf. I tried it a few times when I was first fiddling around and that is all I needed to do. Hi and thanks for the tutorial. I'm a new boy, but I seem to have mastered it. Except when I try gunzip openssl.cnf.gz I get no such file or directory. Also /etc/openvpn is also missing. I see from the internet that the missing file is a bug. Any idea how to get around this. Forget the last post, I'd screwed it all up. Updated firmware in the Readynas and installed again all OK so far. Won't run as daemon but I'll worry it a bit. Sorry to worry YOU. Is there anyway of setting the config so it can be used without setting up a static route on the router? I can connect and ping the VPN server (NAS) but can't access anything else on the network. Hi there so after searching a oot and after a lot trial and error. I have to ask: This tutorial is only so we can access our lan like we are home? Because if it's only that it works fine but my problem is that I would like to forward also all my internet apps while still with my home ip. I've configure a lot of openvpn servers and while I had this one the "redirect gateway def1" I can't make it work maybe because thrre sre no iptables? And again the setup survived the new firmware 4.2.23 for the Readynas Ultra 4. The only thing I had to do is to set ip forwarding again to 1. This was of course done by the commands in the tutorial above. It's really a great and helpful piece of information. I am satisfied that you simply shared this helpful info with us. Please stay us up to date like this. Thanks for sharing. web address and thought I should check things out. I like what I see so now i'm following you. Look forward to looking at your web page repeatedly. Magnificent goods from you, man. I've have in mind your stuff prior to and you're simply extremely magnificent. like what you're stating and the way in which through which you assert it. You make it entertaining and you continue to care for to stay it sensible. I can not wait to read far more from you. This is actually a terrific web site. What i don't understood is in fact how you are now not actually much more smartly-favored than you may be right now. You're very intelligent. Its like women and men don't seem to be interested except it's something to do with Lady gaga! realize such special approximately my difficulty. through the calendar year to assist improve team efficiency. Howdy! I simply would like to give a huge thumbs up for the great information you will have right here on this post. I do not know whether it's just me or if everyone else encountering problems with your website. It seems like some of the written text on your posts are running off the screen. Can someone else please comment and let me know if this is happening to them too? This might be a issue with my browser because I've had this happen before. just before they will happen. I love to share information that I have accrued with the 12 months to assist enhance group efficiency. for yourself? I wouldn't mind creating a post or elaborating on a few of the subjects you write regarding here. Again, awesome blog! serious damage to life and property as a result of this endothermic asset. able to receive most of their training from the nearest hospital. One example may be the Kaspersky anti-virus that's currently featured as the must-download software. Even when you'll be able to preview the file, you are going to often see that the video or audio constantly skips to another location part of the media that has already been downloaded. that are springing up across the country. SUVs to super minis in different body styles. Chad tells me he can dial in my setup perfectly and tweak it for me whenever I want. Most chrome trims now include an adhesive backing that is similar to a piece of tape. Amazing template of blog! What's it called? i just got my new Readynas 102 with the Readynas OS6. Everthing worked great as followed the tutorial. But now i tried to get a connecting from my Android Smartphone with the official OpenVPN APP. And it dosn´t work. There´s one thing i miss in the tutorial, the IPTables configuration. Is this not necessary? I try to copy Clinet01.key to my windows computer, but I get an access denied error. I can delete the Key-File, but not cope, edit or view. I realise this is quote an old post, but this is AWESOME! Thanks for taking the time to share Arjun, it's greatly appreciated. and When I just wanted to say your blog website rocks! due to the fact I use to have a weblog that nearly had an identical web address: http://blog.roychowdhury.org/2011/05/10/adding-a-vpn-server-to-readynas/ mine was only a few characters different. at any time would like a guest write-up please make sure to email me at: patricebratcher@gmail.com. Fantastic gokods from you, man. I've understand your stuff previous to and you're jjust too fantastic. I really like what youu have acquired here, really like what you are saying and the way in which you say it. Yoou make it enjoyable and you still take care off to keep it smart. In this way, the hydroxyl radical is sort of nature's atmospheric "scrubbing bubbles. Pick the right unit and you will enjoy clean indoor air for years to come. For example, people with a latex allergy often have related food allergies. zombies, meet new people, and lose some of the group along the way. and you will obtain certain features. They are beneficial with controlling game and gamer action in games and allowing for the development of potential games geared towards this type of game controller. have but you will have to purchase or borrow. It is smart to make sure that you actually have the insurance coverage that you think you do. Just found you blog, and this is exactly what I have been trying to do since I bout my Readynas 102. I have been using Readynas remote but that does not work halv the time. I followed your tutorial and it works great! Thank you so much, my life just got alot easyer!! VPN or even best VPN for torrenting private system is normally accustomed to supply staff remote control access to a secure business system. An illustration could be a staff member that must access their applications or perhaps programs, or perhaps data files which are only within the firm's machine.